Rain has 5 years experience in massage therapy and 3 years experience in acupuncture. She is a Registered Massage Therapist from the Royal Institute of Science and Management and is in good standing with the College of Massage Therapists Ontario (CMTO). 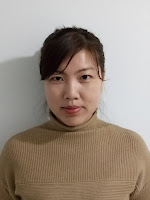 She has received a certificate in shiatsu training from the Shiatsu School of Canada INC. and has also received training in Thai massage from Thai Massage Toronto. She uses these techniques to help clients increase their range of motion, and release pain and tension. She has a strong knowledge of and compliance with the safety standards and the contraindications as established by the CMTO. She looks forward to helping you achieve your health goals!